There is only one thing to say about Papallacta: It was the perfect end to a perfect stay in Ecuador. We rented a room at the Hosteria Pampalacta. Compared to the price level in the country, the hotel is with about 80 USD per night quite expensive, but worth every penny. In particular, the 800 inhabitants village offers a rare feature: hot volcanic springs. You can find some pictures in the gallery below. The outdoor area of ​​the hotel, that lays in a height of approx 3600 meters, offers three pools filled with the hot volcanic water. In the first few seconds getting in the water, the heat literally burns your skin, but once the body is completely submerged, a wonderfully relaxing feeling sets in. Even in the room we had a large, bricked bathtub, that was also filled with the water in the early evening. 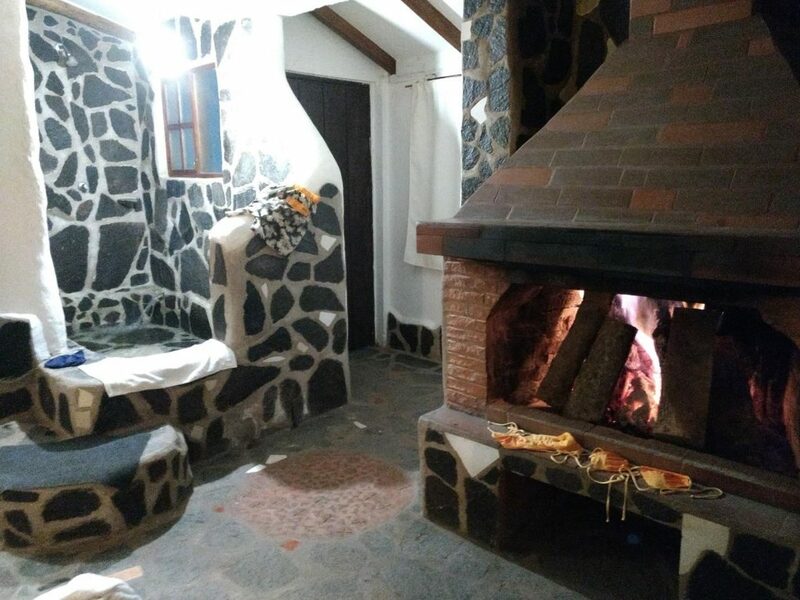 On top of that, we also had an open fireplace in the room, that the staff lit in the evening.We always spend the end of the day in the associated restaurant first and then listened to the crackle of the fire while chilling in the warm water – dreamlike! It is worth mentioning that we both, even after countless hours in the water, did not get any “wrinkled skin”. During our time in Papallacta, we did not leave the hotel area. At that altitude, temperatures were lower than usual and the sun was often obscured by fog or clouds. For this, I have never left a hotel so relaxed. Anyone who has the opportunity or is in the vicinity should definitely stop by the small village in the Andes – it is incredible! From the hotel we took a taxi (50 USD) to Quito´s airport and flew to our next stop for the winter: Puerto Rico. Therefore, my next travel post will be all about the Caribbean island after the devastating hurricane, the current situation and the sights.